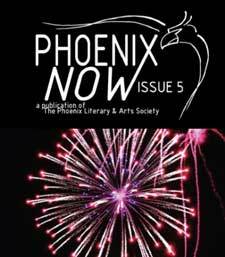 This is the first podcast of ‘Voices of the Phoenix’. The poem ‘Mistakes’ is the literary piece. The files below are available for download. For your convenience, we have also included the poem below. Because you made a mistake to be hurt. To soon be overwhelmed and feel hopeless. Even if they were not our own fault or reasoning to. Kimberly opens up the mailbox to see another bill from the doctor. She got the explanation of benefits (EOB) from the insurance company last week. She will have to sit down with both and do a comparison to be sure they match up before she presents them to Jerry, her husband. This is just another in a long series of talks they’ve had regarding Tyler’s medical bills. In the past three years, Tyler has racked up an impressive $25,000 in medical bills. He is 16. He lives with his mother, Jerry’s ex-wife. Tyler doesn’t have a rare medical condition. He doesn’t suffer from a chronic disease. He is inflicted with a mother who takes him to the doctor and demands medications for him as soon as he begins to sniffle with the early onset of a cold. She also demands x-rays and tests when he has an ache or a pain. She is setting him up for medical dependency. Holly has a genetic degenerative condition in her spine. She is at the doctor’s office at least once per week out of concern when anything irregular might signal a decline in her condition. She is on no less than six prescription medications at any given time, including the highly addictive Vicodin. This summer she developed severe stomach issues which the doctors are having trouble diagnosing and treating. She blames it on the Coca Cola slushy she enjoys each day. A quick perusal of my Food and Medication Interaction text would clearly suggest the stomach issues are related to a deterioration of her stomach lining from long term use of pain pills. No one can deny Holly has a condition which requires attention and pain management. Nor can one deny the occasional doctor visit of a growing Tyler. Yet, these stories suggest an over-reliance on the medical community and the pharmaceutical companies. Society gives credence to the media and the media deluges us with conditions and treatments. If you take this pill, your pain will go away. If you take this other one, your condition will be mitigated. See your doctor. Talk to your pharmacist. You don’t need to suffer. We, and only we, the medical community, can help you feel better. And when medication doesn’t do the trick, they will prescribe another. When the medication causes a long term complication, there is always a prescription treatment for that as well. It is a vicious circle and Tyler is at the beginning of a road Holly knows all too well. There is no argument of an absolute medical necessity or medication necessity. The argument lies in where does necessity end and where does a manipulation of the public’s reliance begin. Who, ultimately, has the back of the public’s health? Do the insurance companies? Historically, they were set up to act as mediators between the doctor and the patient and protect the patient’s pocketbook in a world of rising health care costs. Somewhere along the line, though, this mission changed. Insurance companies stopped putting patients first and began looking at their bottom dollar. The challenge of sorting through EOB’s and benefit payments became the job of the patients. Is it the responsibility of the pharmaceutical companies? An evening watching television might present a picture of public health interest. However, a quick look at the annual income statement of Abbott or Pfieser will show profits in the billions. Is it the doctor’s responsibility? In an average day, a doctor will see an average of four patients per hour. A nurse will handle the intake, blood pressure and temperature. The doctor will review the nurse’s information; listen to the patient’s complaint and heart rate. He will then make a speedy diagnosis, write a quick prescription to fit the presented illness, and move along to the next patient to maintain the busy clinic schedule. Very possibly, in an urgent care situation, the patient will not see a doctor with whom he has a relationship. It is up to the patient, or the patient’s guardian, to take responsibility for his or her own health. They must take steps to understand the common viruses and aches and pains and understand when to use an over-the-counter medication, or when to let time heal the wound. They need to understand that not all ails deserve the attention of a medical professional or a prescription to cure. This is the true public health interest. In Holly’s case, it may be too late. But it’s not too late for Tyler. Could our life be worse than it was? A decade had passed in a misery, half of it in exile. Canada, Australia and European countries had closed their borders to refugees and America was the only one inviting us. A few months earlier NATO bombarded Serbia day and night, and then their leader invited us to come and live there. We heard good and bad about America and bad seemed to be more believable. We never asked to go to America, but at that time we had no better choice. After all, at least there would be no war over there, I hoped. I was twenty-three years old and had almost made myself ill thinking how disappointing my life would be. I lived in some imaginary world of holding a grudge, until reality hit me and proved the opposite. My fear of the unknown had built a growing ugly monster whose life line was cut once I met my reality. In all of my pessimism and expectation of the worst, my only hope was in God’s will. Whether it was a coincidence or not, I do believe my prayers were heard. Milwaukee, Wisconsin, which I never heard of, was our final stop and I was about to step into a completely new life. “Welcome to Milwaukee, Wisconsin! Good Luck!” the captain and stewardess kept repeating to each passenger as they walked off the airplane. “Thank you! I’ll need it!” I replied, but ‘Welcome to hell,’ I thought, as I took my exit from the plane. Ten families, refugees from former Yugoslavia, walked off that plane with a rainbow of feelings. Most of them were happy, expecting a money tree in their garden, Hollywood’s lifestyle, and all kinds of goodies everywhere. Few of us were pessimistic and worried about what will happen next and “tomorrow.” Perhaps I was afraid to think positively fearing that I may jinx my family and myself. I felt comfortable expecting the worst, whatever it would be, because it wouldn’t be a surprise if it did happen. Yet, two feelings were engraved in all of us: fear of unknown or unexpected and a hidden hope. On September 29, 2000, at two in the morning, we all stood in a herd and waited for someone to lead us to our final destination, our homes. No matter what kind of home each of us expected, we all had the same reaction to the question about it; a big deep sigh followed with a hazy look and wondering. I guess the sigh was our body’s instinct to protect us from a very high anxiety. While waiting, I shivered and bugs of fear crept up my back and shoulders. I was terrified of the world that was waiting outside of the airport’s walls. That was the world that I saw on TV and in the one particular movie that had left remarkable impression on me. The movie, “My America,” was about the life of illegal immigrants from my country who lived in Chicago and New York. It strongly affected my opinion about the future. At that time, I didn’t know that there was a difference between legal and illegal immigration. Although I had heard of people who moved to America and lived in nice homes and neighborhoods, it was hard for me to believe that we would be so lucky. We would end up just as those immigrants in the movie, I thought. One of my biggest fears of living in America was living in skyscrapers, in the dirty and dark buildings without front or back yards. I was terrified of walking around those high buildings with metal ladders and garbage around; and sewage covers with hot steam. I was terrified of graffiti on buildings and walls that I would have to live by. That was my nightmare. I mentally prepared myself for the new home in such street and building, as someone came to pick up my family from the airport. “Oh don’t worry, I’ll catch them without traps if you’d give me one broom and a good cat,” my Mom replied after my cumbersome translation. She surprised me with the positive tone of her voice. Although his words were unclear to me I accepted them as approval of my imagination. The twenty minutes long ride from the airport to our new home felt eternal. I was swallowing big heavy balls, sweating profoundly and needed air. I felt the weight of the whole world on me. My only salvation could come from God. He was my only hope and I prayed for help, while suffocating myself in silent tears and fighting with my vocals not to cry out loud. And then, the car stopped. “Welcome to your new home!” the man exclaimed excitedly. Everyone was talking around me, but I couldn’t understand my own language, not to mention English. Their voices became Niagara Falls, then a river, a stream, and finally human voices. We were standing in front of a little white stone house, gated with green bushes and huge maple trees. The green grass lawn seemed better then any red carpet in Hollywood. I stood there awed until I grasped enough energy to ask if we were on the right place and was it really our new home. That little house, in a very quiet neighborhood, with a yard as big as park, was by far different home from what I expected; and it was rented for us, for my family. Fresh air lifted my spirit and I walked around the yard to see another pleasant surprise; our church. The magnificent St. Sava Cathedral was in our backyard, standing proudly lit by the golden accent lights and greeting me with unseen warmth and love. To me our church was the sun in the middle of the night. “O my God! Thank you God! Everything will be good!” I kept whispering as tears showered my face. These tears were tears of real joy. The ugly monster from my ill imagination was demolished as if it was a castle made of cards. Everything I worried about didn’t matter any more. I was happy again. The little house looked like the ones from the fairy tales and our church next to it brought a new creature in my mind – an angel of hope and light. I’m beginning to lose my grasp of truth. It seems the seams are loosely knit, a tangled fray of fiction. Who is everyone? Are you? Do I understand the same as you? You appear to me as always been, always will. But a second glance is worth some thought. A deeper root, a twisted vine ensnares your vital moral self. One can’t be sure of what is not, behind that two-way mirror. Don’t tell me now: it’s not for me; it’s not what, therefore, is meant to be. Yet my lonesomeness has piqued, and my skeptic septic tank is full of rotting half-baked thoughts. Maybe all that was just a wish—a summer wish of auld lang syne, floating nicely through the pines and resting calmly in the field. That’s where I’d rather be. Instead of this concrete bed: a meadow. Instead of these iron bars: some woods. Rather than a ticking clock: the sun. Rather than reproachful night: the moon. Rather than the stark true you: the dream, the sunny reverie of what I always hoped was you. And time will stand still then, as I always hoped it would. A strong, brave, and dedicated young man, he stands tall and proud of the achievements he has worked long for all his life. The big smile he always wears on his face tells many a story that doesn’t tell another he hides deep in his eyes. His bubbly personality and friendly conversations almost make you feel like you’ve known him for years. At only 5 feet 7 inches and a big happy belly from the many years of happiness and days gone by without worrying about whether there will be any food to eat, he is a kind and jolly fellow that would take the shirt off his back for you any day. Jimmy was the oldest of four children raised during the chaotic warfare of the Vietnam War. Born in Southeast Asia in Laos, a country which lies just west of the South China Sea and east of Thailand, to parents who were farmers, they lived a very short period of time in their lives together on the high, steep, and ruthless mountains of Laos. Food was scarce and survival was key. Enduring cold weather, wild jungle animals, steep terrain, and hardship, life was very difficult and grueling. Jimmy would not be prepared for what would be the next couple of years of pain and sorrow as the war drew near to it’s ending. Between the ages of five and seven, he lost a father who was killed in the war, a younger sister who drowned in the Mekong waters that separate Thailand from Laos trying to cross the border to freedom, and a mother and sister while running from enemies of the war. Once he reached Thailand, he was neglected and unwanted from one relative to another. No relative was able to bring him into their family and provide for him due to their own hardships. Jimmy eventually was introduced to a couple who ran a small Christian missionary orphanage on the refugee camp in Thailand. This is where he would spend the next three years of his life until his grandfather found him and brought him to the United States. “It’s not much, but it’s something and something is always better than nothing.” A familiar saying that I always hear when Jimmy get’s a little of something, not expecting anything or when one complains of not having anything good in life. This is Jimmy’s humble way of life and these are the grounds based on how he leads his life, with thanks everyday for the things he has that matters the most to him. Hearing this, one would think that Jimmy is a frugal young man if they didn’t know him like I do. One would think that he saves every penny he get’s. But Jimmy actually likes to spend the money he has worked hard for. Maybe not on him, but he sure wouldn’t think twice if it was for his loved ones. Listening to Jimmy when he say’s this, I think twice about what I need and what I want. It has helped me to determine what is most important in life like family and love rather than selfishly thinking about one‘s own materialistic needs. We don’t have to live lavishly to be happy and Jimmy has taught me all this. I’ve learned a lot from Jimmy you see through the many years that I’ve known him. Sometimes I can still see the lonely, hungry, and scared young boy when I look into his eyes. He has come far and has endured much. Through all the pain and hardships he has gone through, he has remained strong. He is my teacher, my helper, my inspiration, and my strength. Not only has he taught me to appreciate the better things in life that truly matter like family and each other, but he has shouldered me through the good times in life and the bad times as well and has remained that one guiding light that leads me back when I begin to fall. He is my joy and my happiness. He is my husband and my one true best friend. Two days. For two days, Elisabeth had been nothing but flesh and bone. There hadn’t been sound or thought or touch. There hadn’t been breath or speech. Her mind remained dormant. She had been still, like a portrait or an obscure piece of art next to her other; the newly created half of her soul. She had been nothing but blood and skin. She had been nothing but a body in a bed, dressed in black as if in preparation. When she had awakened, she thought only hours had passed. Before she could leave her bedroom, her nose started bleeding and felt sick to her stomach from the emptiness. Her limbs felt stiff and she tried to talk, but words wouldn’t come easily. Her body had begun the stages of rigor mortis, but she had only been asleep for hours. That’s what she told herself through her muddled, irritated mind, although all of the sensations she felt when she touched things were elevated and everything had otherwise pointed to her being gone for longer. She had been told that it would be painless, to give half of herself over to him. She had been told it would be quick, but she couldn’t help but think that she’d been lied to. The tears welled in her dry, itchy eyes and she slid gracelessly to the bathroom floor, her feet tingling with awakened nerves. The blood roared in her head and she cried out. Then, there was silence; pure, blissful silence. The silence gave her a chance to fully concentrate on her thoughts and to realize that just like the dying of the day, she had become nothing and then reborn into everything. Lily sat beside the lilacs, breathing the scent of the blossoms. She loved that smell. It would always bring her back to her childhood, and in her mind’s eye, she replayed a memory. And that memory made Lily smile. She shifted her weight and dug around the base of the lilac tree, aerating the plant, then reached over to brush away some of the winter leaves that had accumulated around the base of the headstone. She’d planted this bush on the grave to give her mother another life, a living memory, and the scent of the flowers comforted her with that reminder of rebirth. Finished, she stood. She slapped away some of the dirt from her knees, then began to clip a few blooming branches from the lilac. “I’ll visit again, soon, Mom,” she said, and her voice was tender. When I was around five or six years old my older brother told me, “All White people eat their boogers.” It was common knowledge in my neighborhood that whites were not only mean and nasty people; they were dreadful people who could not be trusted under any circumstances. I grew up with parents who migrated to Milwaukee from the southern, delta states of Louisiana and Mississippi. The majority of the adults living in my neighborhood and the surrounding areas came to Milwaukee under similar circumstances. Most came for new opportunities, jobs, and better housing, as well as a means of escaping the extreme racism in the southern towns they grew up in. Opinions of white people in my neighborhood were not very high. All whites were the same rotten bunch; this was the general consensus from my family and neighbors. I eventually learned all Whites are not the same. Racism is based on ignorance; therefore, unlike my parents and others, I have learned different ways of responding to racism rather than making broad and negative assumptions and generalizations about different groups or cultures. Despite some of the faulty information I received regarding other races growing up, my general nature was and is to verify all things before fully accepting what’s being said. For instance, after my brother told me the story about white people eating their boogers, I anxiously anticipated catching them in the act. Every Sunday after church my brothers, sister, and I went to the movie theater, which was the only time I was around groups of whites. Once at the theater, I strained my neck, twisting my head and missing most of the movie trying to catch some white person eating his or her boogers; however, I could never catch them in the act. I remember my disappointment at not seeing this booger eating up close and personal. I diligently occupied myself with the task of verifying my brother’s information for a least four consecutive Sundays, when I came to the conclusion that either these people were hiding their booger eating talents well or my brother was just wrong. I eventually discovered that my brother was wrong about all White people eating boogers. After catching a few Black and Hispanic kids eating their boogers I concluded that booger eating crosses all racial boundaries. Another story that was often repeated in my youth was how Whites smelled like “wet dogs” after getting wet when it rained. I listened with a degree of skepticism; however, I had to verify that story also, which I never could. I eventually concluded from encounters with wet people, most people generally smell different after getting wet. Because of the stories I heard growing up, which were never confirmed, I learned to either seek verification or simply disregard the stories as racist stupidity. From my personal experiences with racist people, I have learned to place blame and hold accountable the individual for holding onto ignorance and racist ideas towards other individuals or groups. For instance, after moving to a White neighborhood when I was about ten years old, I was in a whole new world and experiencing an entirely new culture up close and personal. Most of my new neighbors were outwardly friendly and accepting towards me and my family; however, there was a man across the street who was very racist, cold, and unfriendly. This racist neighbor had a son whom he informed explicitly, “Don’t play with those dirty, uppity ^*&&#%@ across the street.” Nevertheless, the son liked playing with us, and while visiting, would naively tell us what his father said. The boy’s mother, a very meek lady, also seemed okay with us and was congenial and friendly, totally unlike the father. The father’s behavior and attitude towards my family was ignorant and foolish compared to the other members of his family, as well as the other neighbors on the block. This man’s behaviors made it obvious to me that all whites did not feel or respond the same towards Blacks as this man did. He would actually order us out of his yard if we visited his son; I kind of enjoyed tormenting him with my presence, so I visited his yard or would walk in front of his house often when he was outside. In the end, racism will exist as long as there are people. Education exposes the lies that perpetuate racism and the tendency people have of not understanding or accepting things or people that are different from themselves.